Texas ghost stories represent some of the scariest and most haunting tales. Real ghost stories and creepy horror tales of cursed souls and victims of untimely deaths unable to move on to the next life haunt these places throughout Texas. In the 1850s, Charlie and Jenny Papworth settled into a cabin on the east side of a creek in Alexander, TX. It was difficult living as these settlers struggled with droughts and flooding, depending on the season. They were involved in the community and had a number of good friends in the local area. After about five years, Charlie's parents passed away, and he was informed that they'd left him the family furniture. In order to retrieve the furniture, Charlie needed to make a 200-mile trip by wagon. While he was gone, Jenny lived at the cabin by day, but traveled every evening, with the children, to the cabin of their friends, the McDow family. After a month of such difficult living, Jenny and the kids didn't arrive one night at the McDow's. By the following day, the McDow's and other neighbors became concerned and checked the Papworth cabin, only to find small signs of a scuffle and some blood on the floor. During their search, they discovered one of the young children hiding under the bed. The community organized a search party but the search party wasn't able to locate Jenny's body. One member of the community, an obnoxious man named Brownlow, accused the local Indian tribe, the Comanche Indians, of killing her. Local members of the community began suspecting Brownlow himself, especially when one of his belongings was discovered near the Papworth cabin. However, no one could ever prove that Brownlow committed the horrible crime. After a few problems with Brownlow and the town, Charlie and his son left the cabin forever. However, that's when the hauntings began. A neighbor, Keith, and his son stayed at the cabin one night and heard scratching at the door. Upon opening the door, he saw Jenny Papworth and her baby. She screamed and disappeared, scaring the two so much that they left through the back window. The next resident of the cabin, a skeptical man named Charlie Atchinson, lived there for a short period. Local men arrived one day to find the doors and windows locked from the inside. Upon breaking in, they found Charlie lying dead, on the floor, with a horrified look on his face. Years later, two young men took up a bet with the Saloon bartender that they could stay at least three nights at the cabin without running away. When the locals checked on the boys in three days, they found bullet holes in the walls and discovered that the brothers had run away. Many other people witnessed the ghost of Jenny through the years. In 1890 a young man fired his gun at the ghost who was approaching him after he'd crossed the creek near the McDow place. Engineers and travelers of the local train witnessed seeing Jenny multiple times, standing near the tracks, just holding her baby. Two boys fishing at the McDow hole saw her apparition rise out of the water. Jenny and her baby were even reported to appear at the foot of Brownlow's deathbed, after which he finally admitted to the killing. Locals continued reporting countless sightings of the apparition at McDow hole throughout the years. Presumably, the ghost of Jenny Papworth has never found rest. The Black Hope Cemetery is an old burial ground where slaves were laid to rest for generations. Unfortunately, residences in this Newport area were built over this old cemetery, making the spirits of these slaves restless. Stories of poltergeist-style hauntings were outlined in various articles throughout the 1980s in the local and national newspapers. A number of residents of the subdivision on Hilltop Drive reported what they considered "evil" activity, including apparitions and much worse phenomena. One particular family described some of the horrible phenomena that took place in their home. Ben and Jean Williams became unnerved when they discovered ants colonizing their dishwasher. While this event was odd, it was only the beginning. Their toilets would flush on their own, objects would move on their own, pets would act crazy, birds would appear to attack them, and worst of all, their friends and other local residents would grow sick of diseases that ended up fatal. Residents all confirm sighting the ghosts and shadows throughout the neighborhood and in homes. Ben and Jean eventually wrote a book titled The Black Hope Horror about their experiences. A TV movie titled Grave Secrets was created in 1992 based on the events in this community. Countless residents have fled their homes after realizing what living in this Hilltop community entails. The Maxdale township's cemetery is very old and believed to be haunted. The apparition of an old man with a limp is rumored to be the deceased cemetery caretaker who is still working long after his death. The ghostly stories surround the cemetery don't stop with the caretaker's ghost. To access the cemetery, you must drive over an old iron bridge that spans a river. It's said if you park your car in the middle of the bridge and turn off your lights to the count of ten when you turn the headlights back, the swinging corpse of a hanged man will be in their beams. The man supposedly distraught over the drowning of his beloved took his own life on the bridge. Another story of tragic loss has the man driving his truck off the cemetery side of the bridge to his death. Travelers report a phantom old truck chasing them across the bridge into the cemetery. You can find a few more haunted Texas stories and other Texas tales, such as Real Haunted Places in San Antonio. There are several books that provide various Texas ghost stories, such as The Big Book of Texas Ghost Stories (Big Book of Ghost Stories) and Ghost Stories of Old Texas (Stories for Young Americans Series). You can also visit websites dedicated to Texas ghosts, such as The Texas Monthly features "The Spookiest Tall Tales in Texas" and "G-G-Ghost Stories", and True Horror Stories of Texas also allows visitors to add their scary Texas ghost stories. Texas is probably one of the most haunted states in the entire country. A testament to this is the multitude of stories, throughout the State, outlined at Ghosts of America. 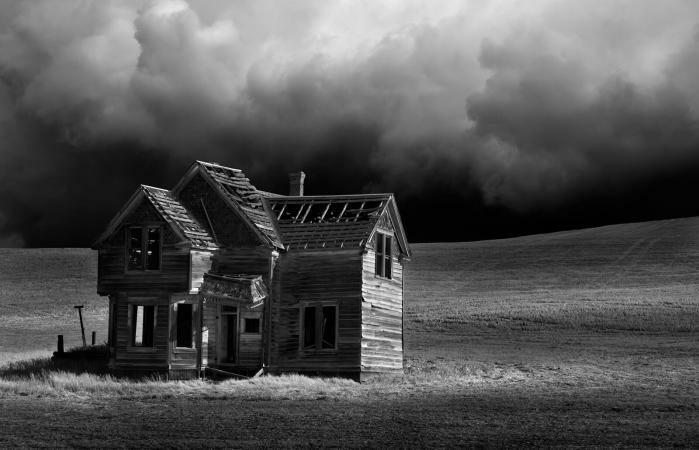 Many states have similar ghost stories that include, Alabama and Chicago.